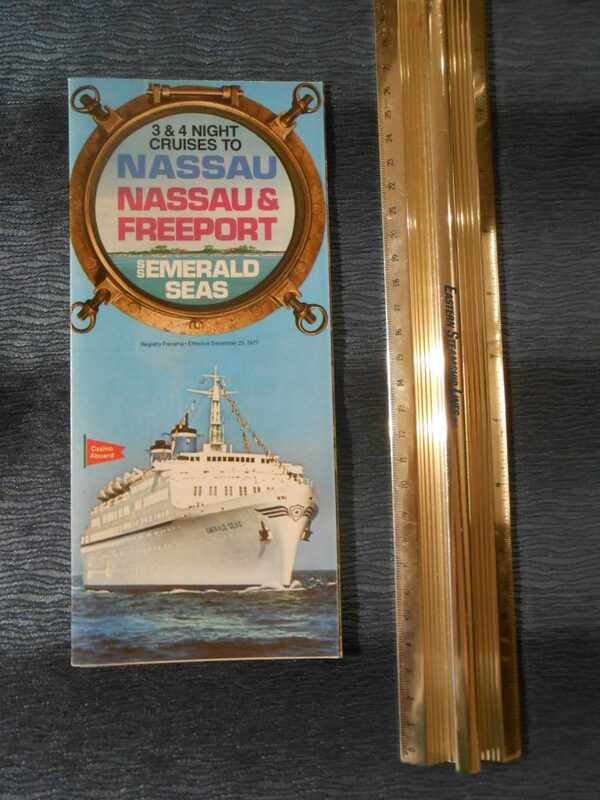 Excellent 1977 ss Emerald Seas DP Brochure dates 1977 …. 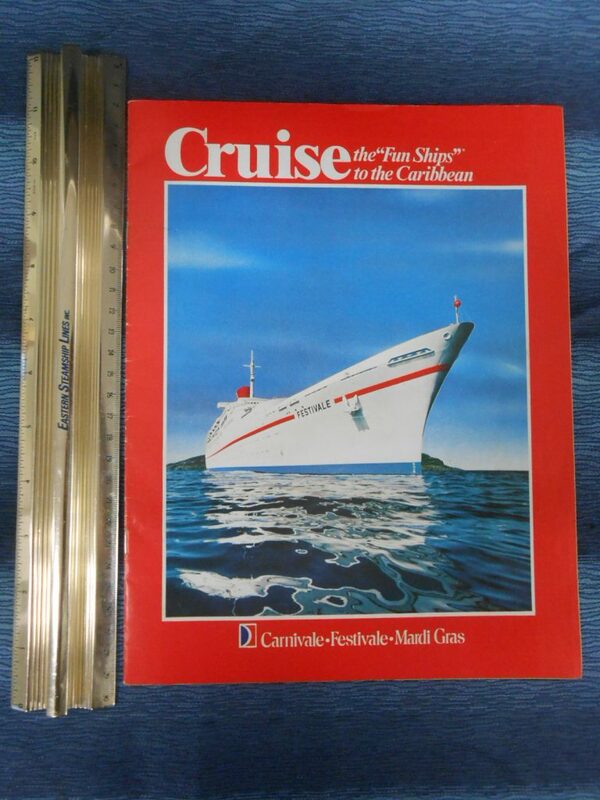 In full color this include nice photos of life and activities onboard as well as deck plans. Dated Dec 1977 it is in pristine condition with and Texas Agency stamp. 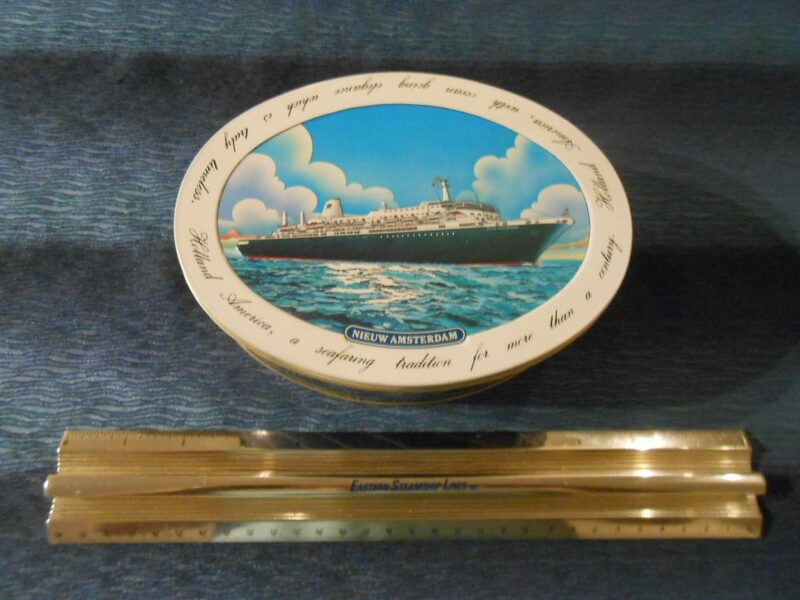 Lovely tin container for the HAL Nieuw Amsterdam from the 1980’s. 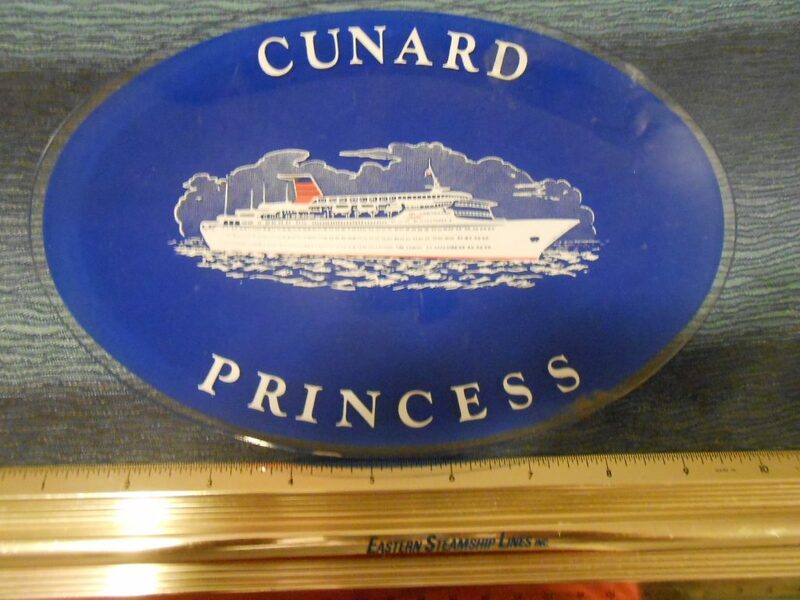 Embossed profile of the ship on the top .. in excellent condition. 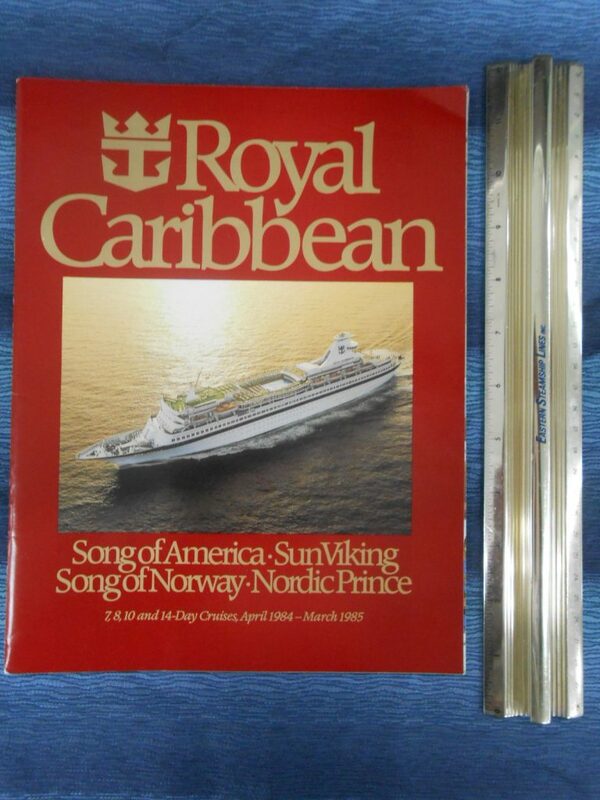 Lovely ash tray for the Song Of Norway, Nordic Prince and the Sun Viking. 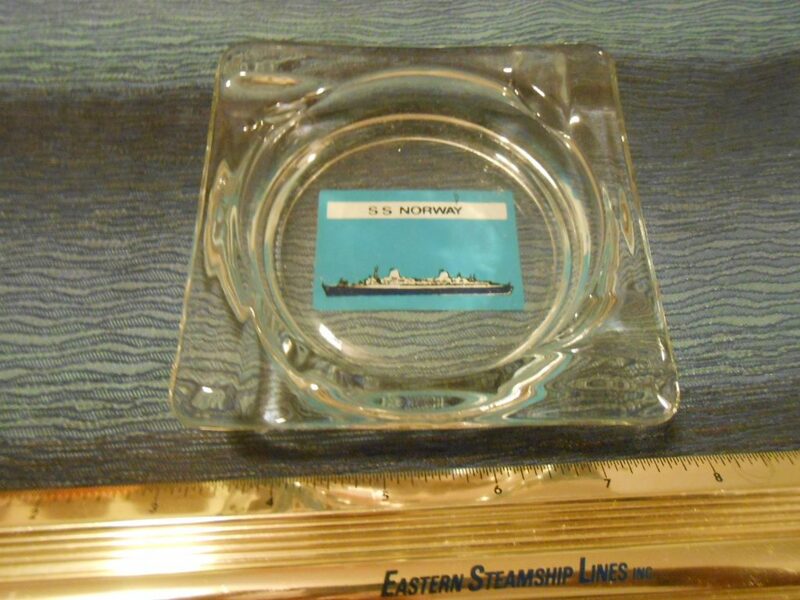 These tiny little intimate ships could almost be tenders for the fleet of mega cruise ships today. 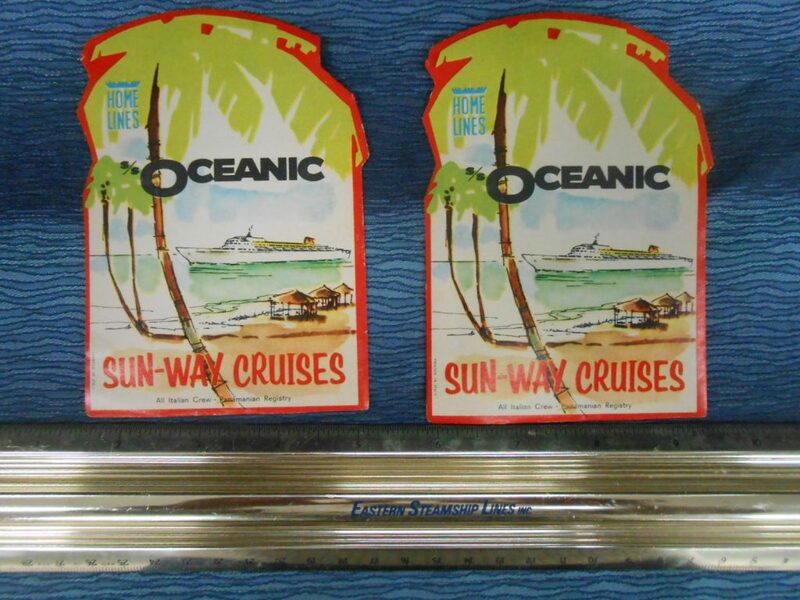 2 lovely and pristine unused Baggage stickers from the Oceanic and her “Sun Way” cruise program. Great graphic of the ship and lovely colors. 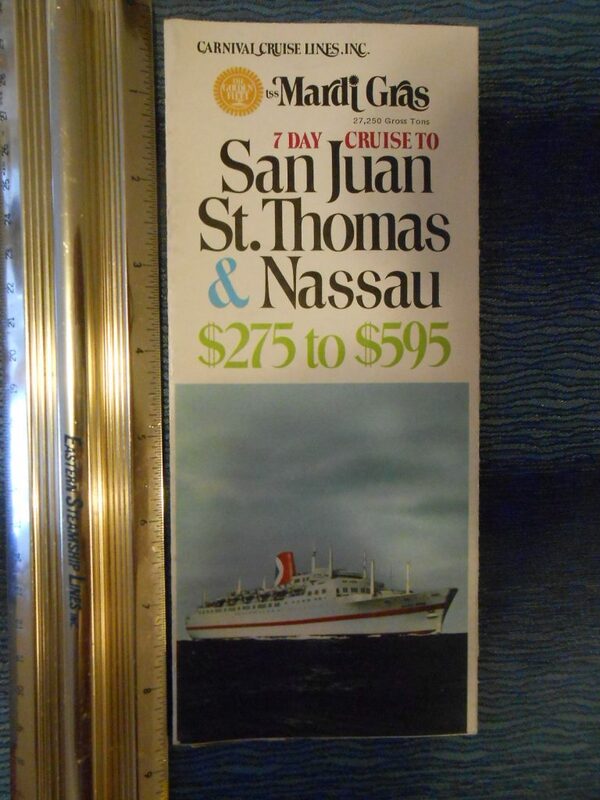 The earliest ship of the NCL fleet (commissioned in December of 1968) … she paved the way for their success and an eventual quartet of similar ships and beyond. 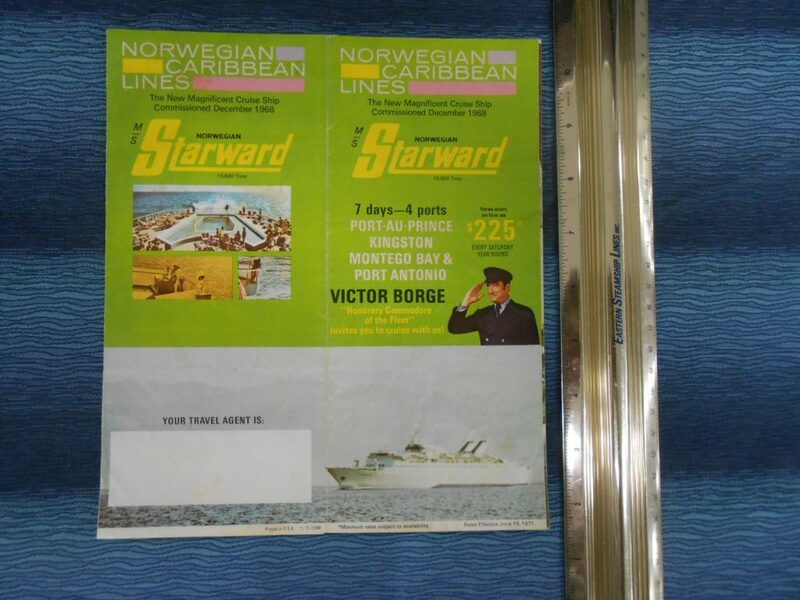 Victor Borge was the honorary Commodore for the fledgling fleet and these early services. Great little item and not common to find! Great little brochure deck plan from 1975 …. For the Monarch Sun. This ship had many different lives for many operators and finally went to the Alang breakers in the early 2000’s. 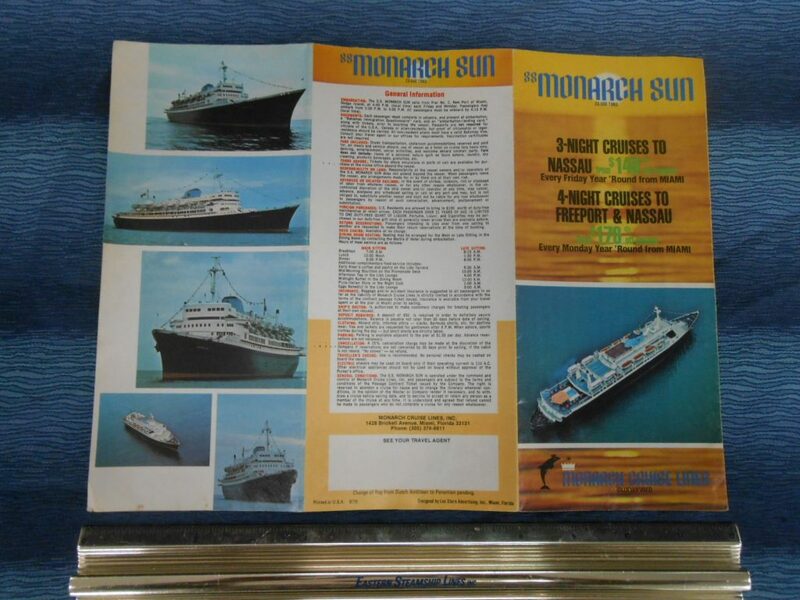 Some of her interiors from her beginnings with Moore McCormack were still intact in 1975 under the name Monarch Sun. Carnival Cruises: The Fun Ships serving Baltimore and Norfolk. Carnival had started with the Mardi Gras and quickly added the Carnivale and these 2 ships sailed at almost full capacity from their humble beginnings. A little seam separation but still a beauty! 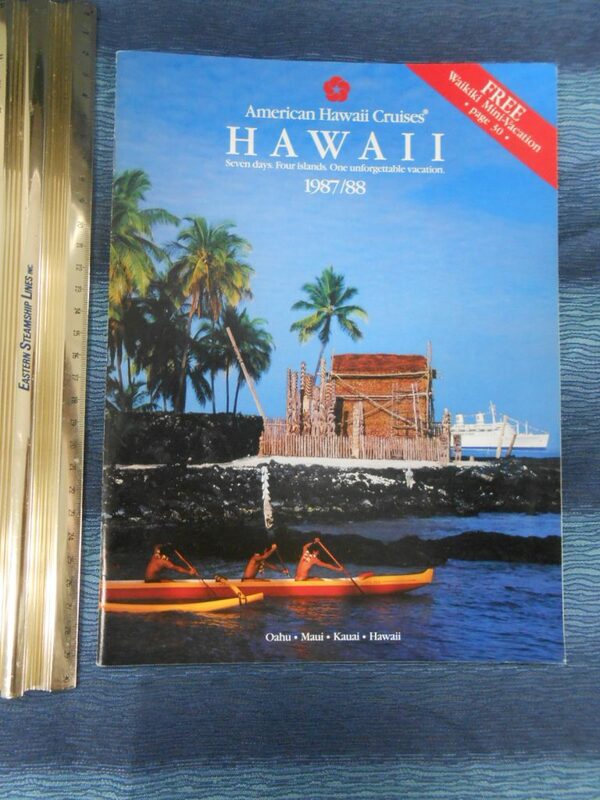 American Hawaii: 86/87 Hawaii and Tahiti season brochure. 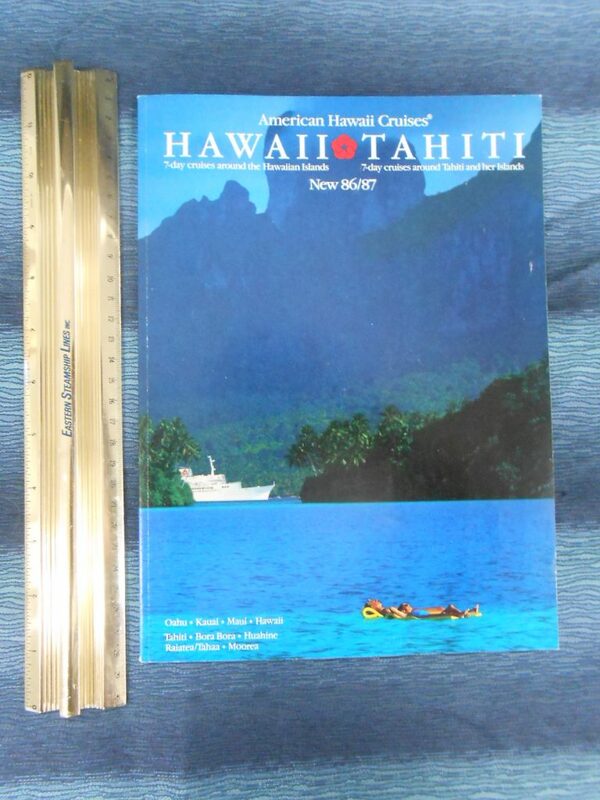 The Independence and Constitution spent their golden years in the Hawaiian interisland trade and were joined briefly by the Liberte to serve Tahiti, Excellent brochure for the 86/87 season. The Connie sunk on her way to the breakers and the Indy barely made it to Alang and broke her back just short of the beach and was broken up on the spot. The Liberte also enjoyed a long career for multiple owners. 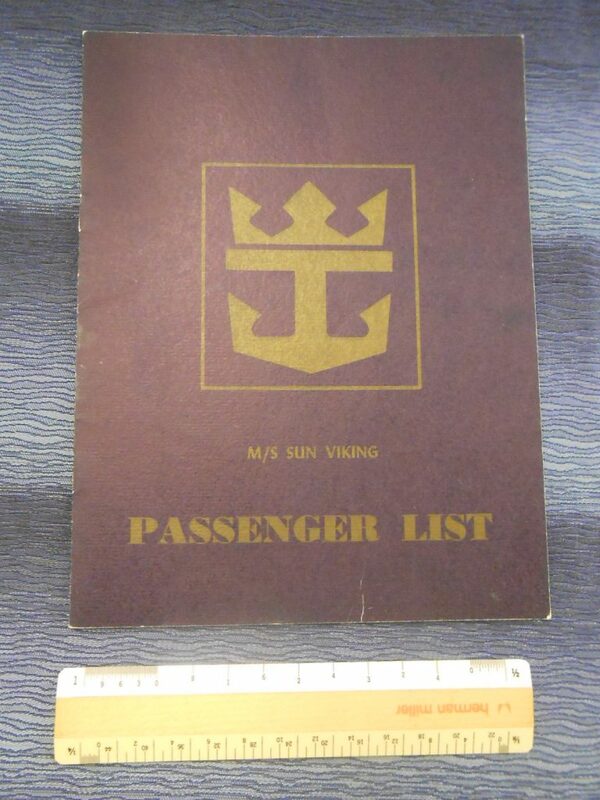 NCL used every marketing ploy available to keep the Norway booked to capacity throughout her life … and they did so in part by playing on the Ships History as the “France- last of the Great Transatlantic Liners”. A smart move on their part … it certainly added to the mystique of the great ship and probably kept folks coming back for more. 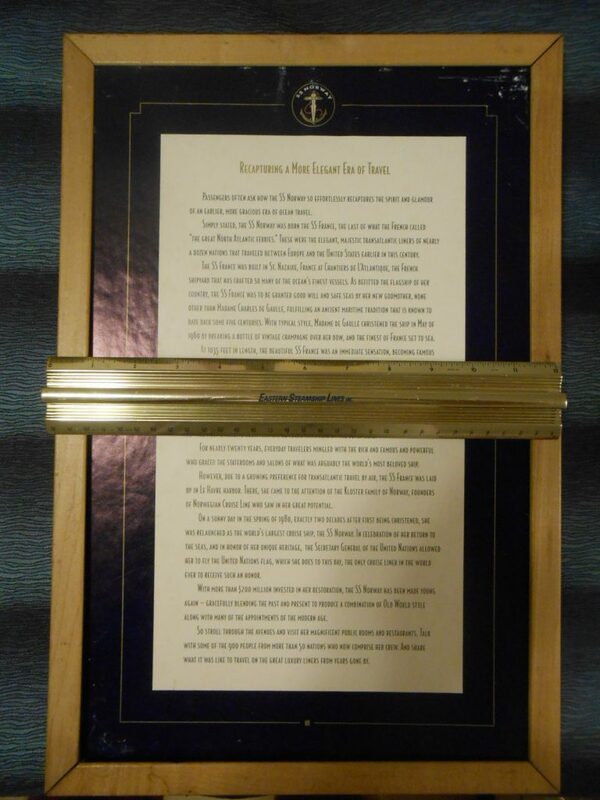 These framed cabin plaques were used to explain that rich history and hung throughout all cabins onboard. These do have some signs of everyday wear and tear … but I can only believe a scant few must have been saved. Own your own piece of her history today! 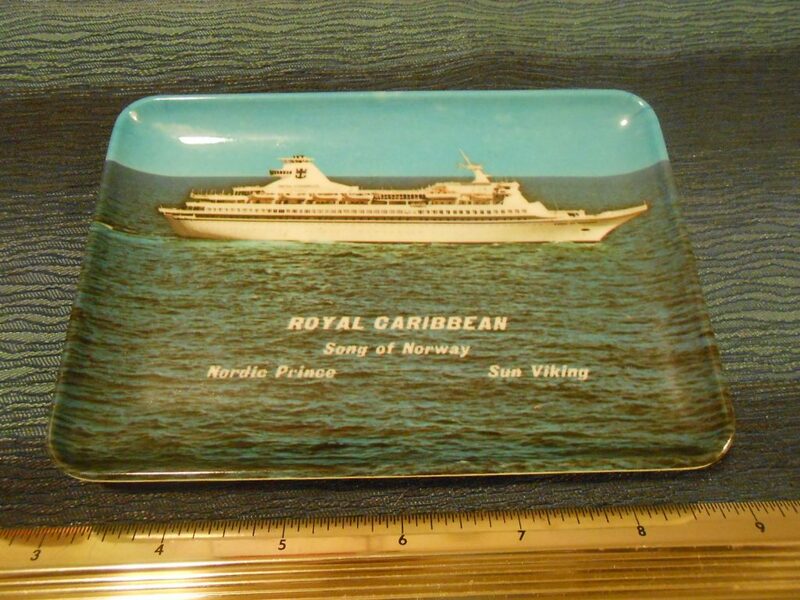 Great early tray … probably made pretty close to the line’s humble beginnings. These older ships with be totally dwarfed by the current Monsters of the RCL fleet … they could almost be tenders! Excellent condition. 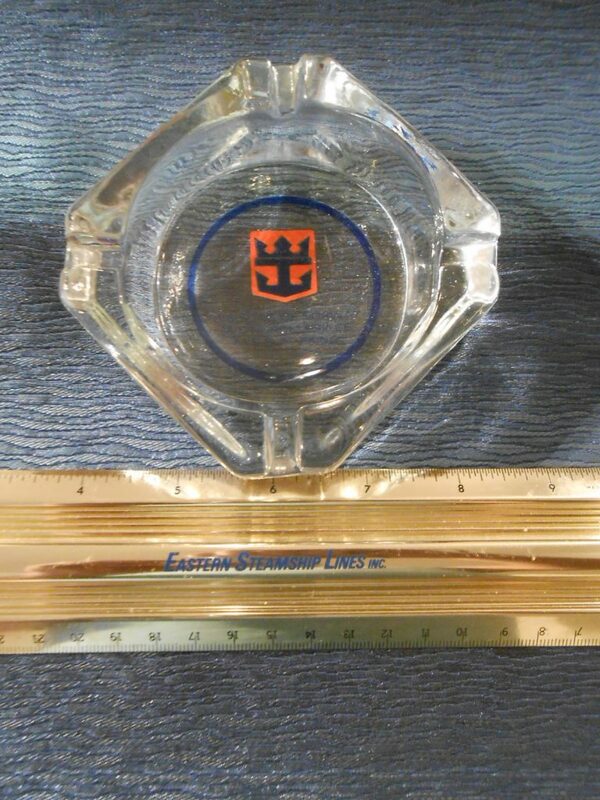 Great little “circle in a square” ashtray for the Norway. Excellent unused condition. Great tumbler celebrating the Tropicale’s Maiden Voyage in 1982. 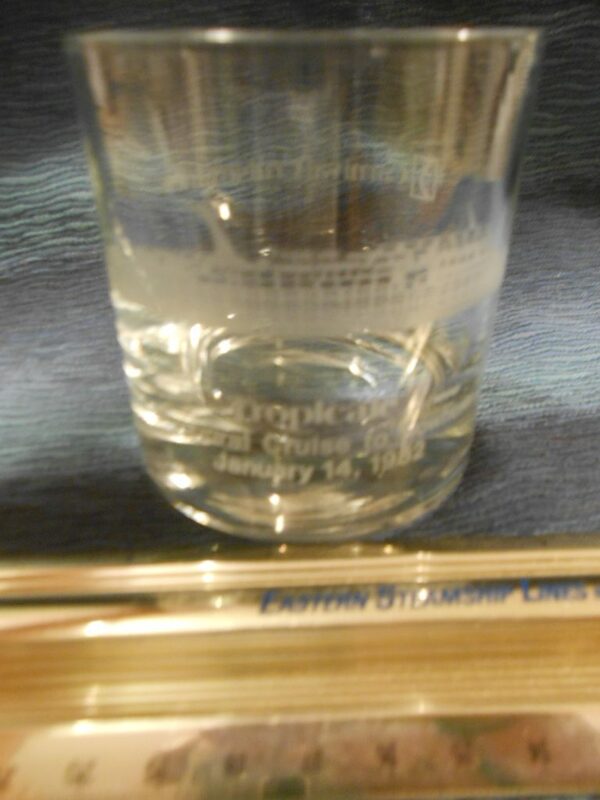 Great etched image of the ship. 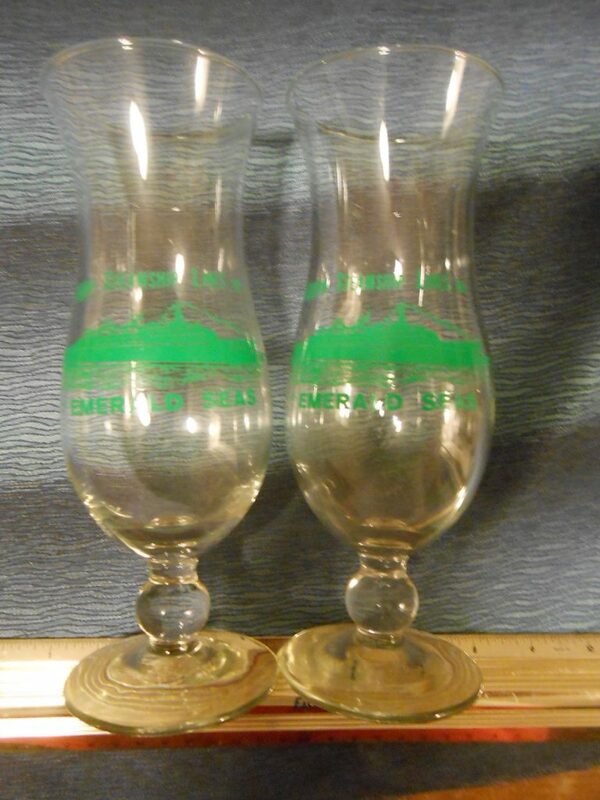 Lovely set of hurricane glasses from the ship of multi lives. These would be perfect for some Mojitos or Daiquiris. 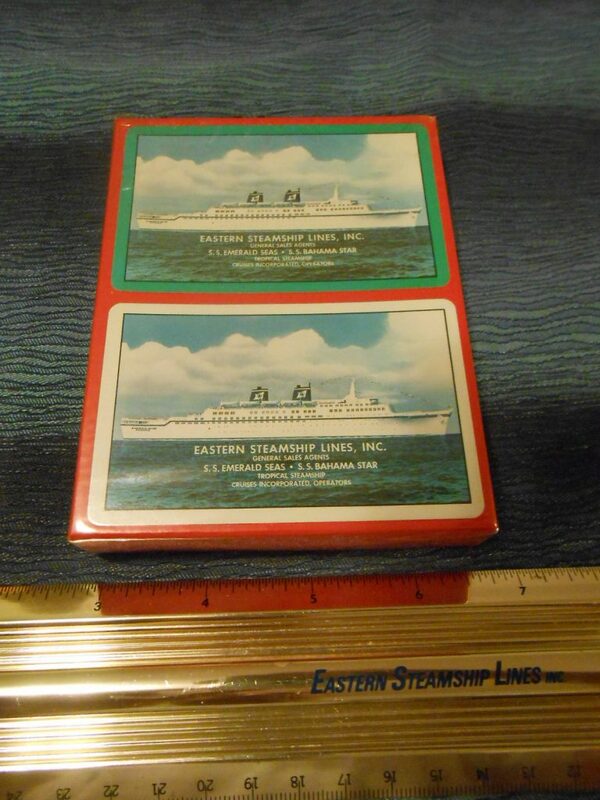 Great double set of Playing Cards for this ship of many varied lives! Excellent condition. 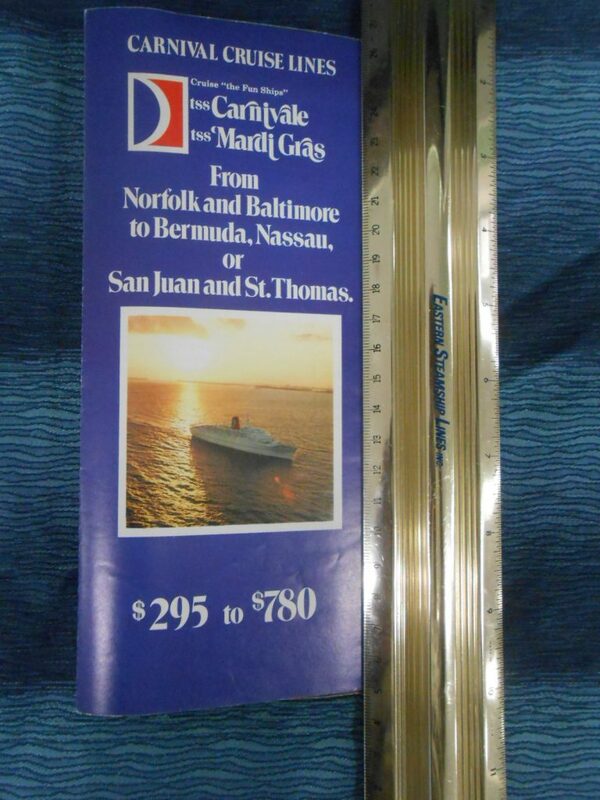 A very early “Golden Fleet” DP/ Brochure for the young Carnival fleet. From a humble start with this one ship … Carnival became the worlds largest cruise line operator. Excellent condition and photos. 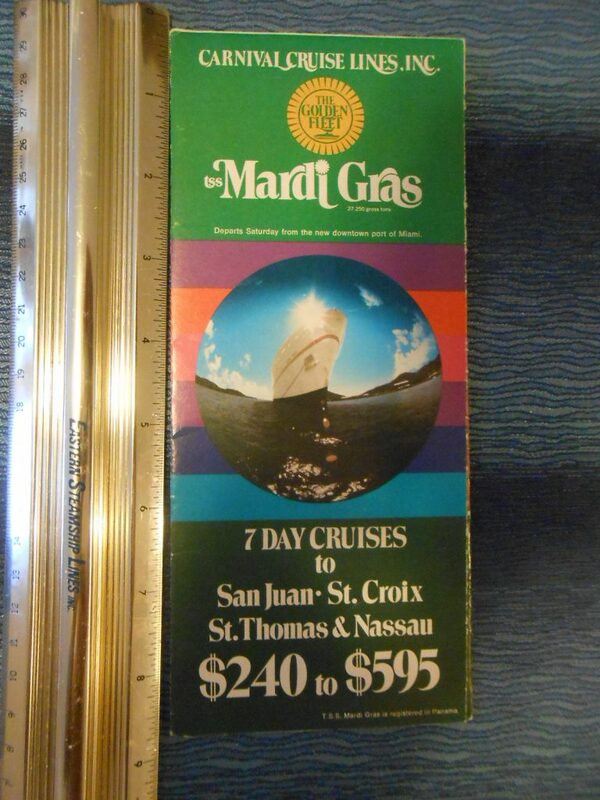 Nice plan brochure fold out for Carnival’s first ship the Mardi Gras. 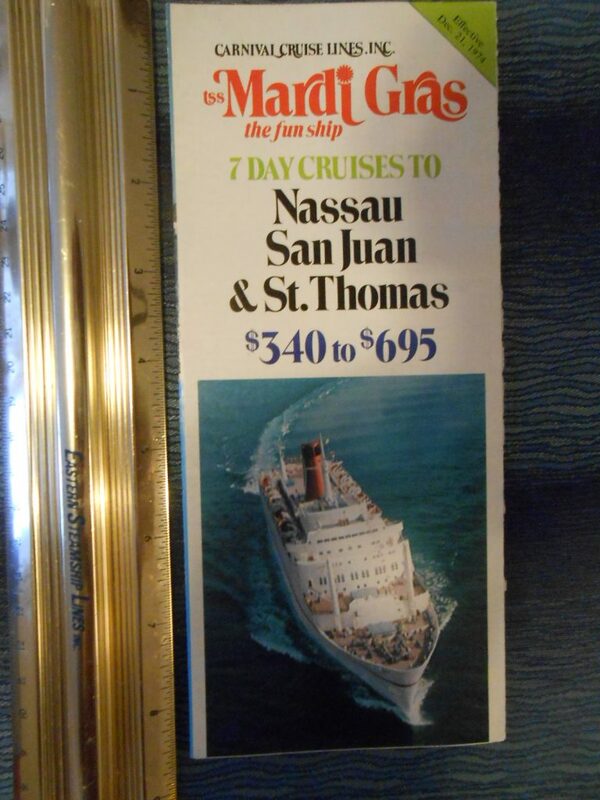 Interestingly this 1974 brochure first I know of to refer to the ships as “fun ships” which has been the tag line for Carnival marketing forever. The old CP Empress of Canada went to the breakers in the early 2000’s. 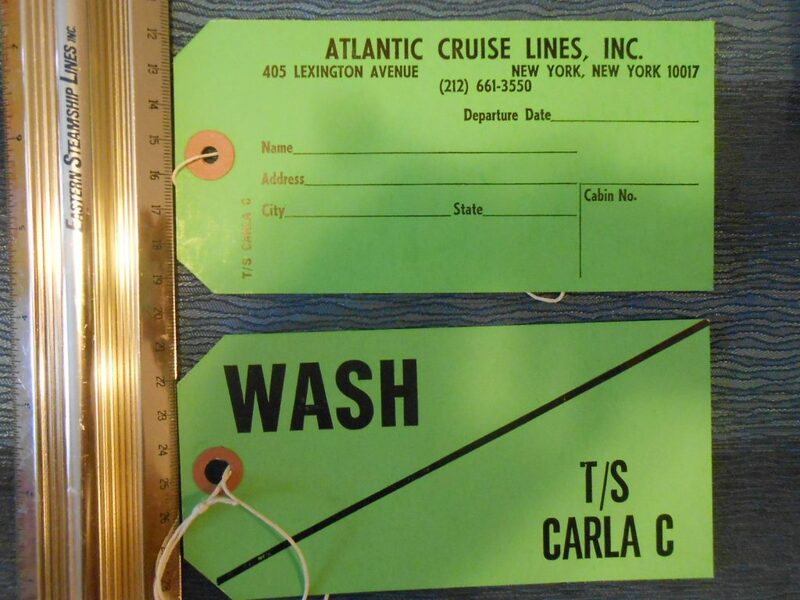 Interesting single baggage tag … actually marked “Atlantic Cruise Lines” … must have been some sort of short term Charter for the TS Carla C ( ex Flandre). Excellent condition. 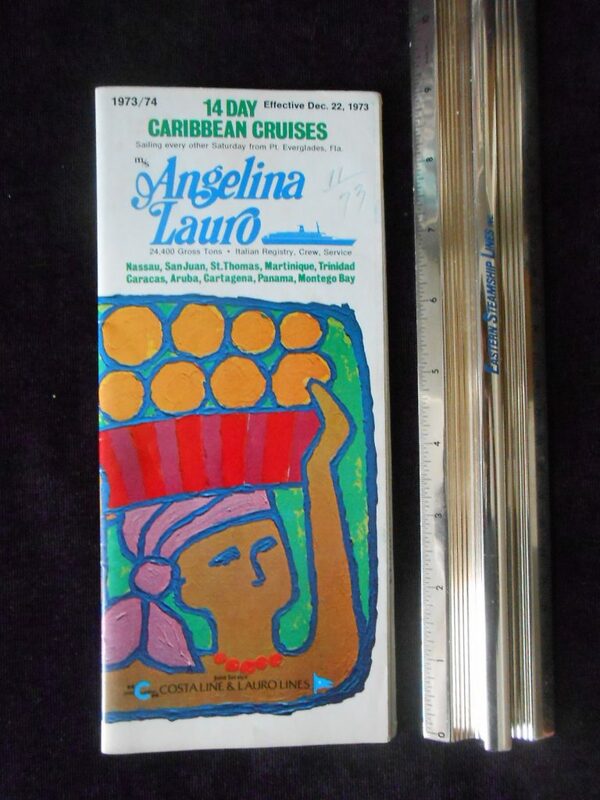 Excellent deck plan folder for the Angelina Lauro … lovely interior photos and color coded deck plans. She was a major dollar earner … until the day of the fire. Excellent condition … a little writing on the front. Great blue and gold PL for the Sun Viking … these folks were on a lovely cruise over Christmas … and by the comments and note in back had a great time. 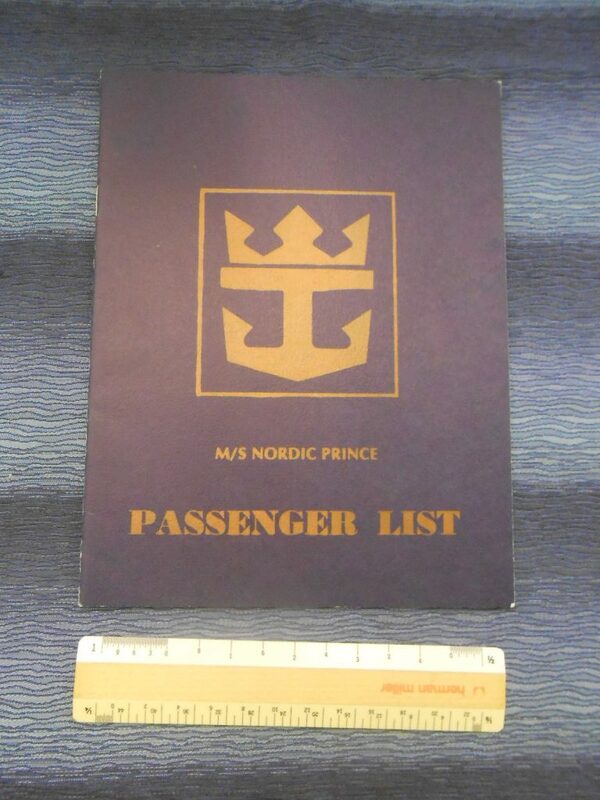 An early PL for the lovely little Nordic Prince … simple gold and blue covers!